A student recently asked me whether or not it was “worth it” to go to a very expensive university, USC, even though he knew it might require him taking out tens of thousands of dollars in student loans. It’s a very relevant question right now, especially as students and parents all around the country prepare to reply to colleges and universities ahead of the May 1 College Decision deadline. Although the following individual’s inquiry is specific for his situation, my reply to him, I believe can be universally helpful to anyone considering finances and college choices. Here is the relevant question – and my answer. Q: Hi Lynnette, I heard you on Farnoosh Torabi’s podcast, So Money, and I found your information very useful. I do have a very particular question though. I am 26, transfer student from a community college looking into going to USC for business economics/finance. As you may know, it is extremely expensive. I have a good GPA (3.6) and not sure if it’s worth the money (about 23k a semester w/o financial aid). I have no parental support, I am a documented immigrant and have been supporting myself in the states since 19 years old. Will this school’s business network and degree be worth the money? Thanks for listening to me on Farnoosh’s podcast (click here to listen), and for reaching out with your question about transferring to a four-year university. As it turns out, I actually attended USC. I got my Master of Arts degree in Journalism from USC in 1993. Also, my oldest daughter recently applied to USC’s Marshall School of Business and was accepted to join USC’s graduating Class of 2019. So I’m very familiar with the school — from a historical perspective, as well as what the university is like more recently. 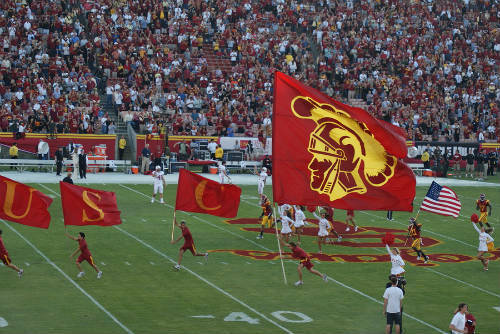 Overall, I think USC has grown in reputation and quality and the business program is very good. I’m sure you’d get an excellent education there if you majored in finance/economics. However, I wouldn’t advise you to go to USC — or to any school — if you don’t receiving significant funding and, in turn, you have to take on a significant amount of college debt. You didn’t reveal the specifics of your financial situation, but since you’re 26 and you’re here in the states now with no family, I’m assuming you’re not rolling in the dough! For 2014-2015, tuition and fees at USC topped $49,000. I don’t have to tell you that $49,000 a year in tuition is very pricey — and that doesn’t even account for your other expenses, like room and board, books and supplies, etc. The total cost of attendance this school year is now just under $65,000. (See this fact sheet on USC). You sound like you’ve done very well so far, by achieving a 3.6 grade point average. That puts you in the ballpark for admission … the average GPA for incoming students at USC is 3.73 and the average GPA for transfer students is 3.7. (See this info on transferring to USC). But if you want to get merit-based aid (i.e. 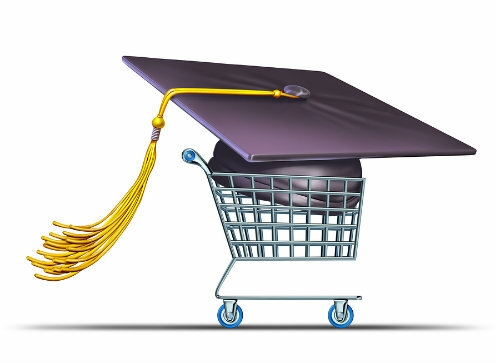 institutional scholarships from a school) in order to lower your cost of attendance, you typically need to be in the top 10% to top 25% of a school’s academic profile. I’m not suggesting that you won’t be able to get free money from USC; just that it will be more difficult to qualify based solely on your academic stats. What may be much more likely is for you to get need-based aid (i.e. funds for school based on your income and assets). For this, you’ll need to fill out the FAFSA and CSS Profile. In the last category, those tend to be private schools and more elite institutions. A lot of students rule these colleges out because of the sticker price — or the upfront cost of attending the schools. But very few people actually pay full sticker price. So just because USC charges $65,000 a year (for tuition + housing and other expenses), that certainly doesn’t mean you’d pay that cost if you get in. You could get institutional or merit based scholarships for all sorts of reasons – academic, athletic or artistic talent; a unique skill or attribute that the school wants; or even because of a variety of demographic factors, such as your ethnic background, gender, status as a first-generation student, socio-economic background, etc. And indeed, compared to many other schools, USC is among those institutions that often provide more merit awards to a wider range of students. 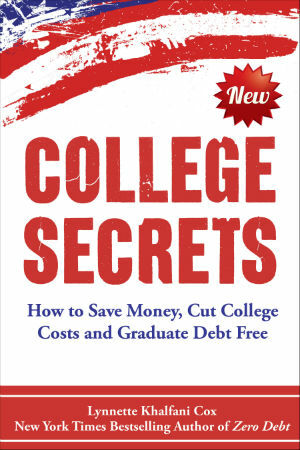 My latest book, College Secrets: How to Save Money, Cut College Costs and Graduate Debt Free, outlines tons of money-saving strategies to make college more affordable and it will give you a lot more ideas — as well as info on other schools that are known to give out scholarships. Overall, I encourage college education, but I don’t encourage unnecessary college debt — no matter what the name or prestige of the school.